Prime Minister Joseph Muscat addressed a jam packed Birkirkara Labour Party club. Those who didn’t want more foreigners on the island were also turning their back on economic growth and social measures like pensions, Prime Minister Joseph Muscat said on Sunday. Speaking during a political activity in a jam-packed Birkirkara Labour Party club, Dr Muscat said that as far as he was concerned economic growth was a means to an end. “Our aim is to spread the wealth. But to do this, you have to have wealth to spread in the first place,” he said. Other member states, he said, were facing economic recession, but not here. The government had incentivised work to ensure that all those who could hold a job, did so. Then the next step was growing the workforce, bringing in people from overseas to expand the economic output of the country. “Our model is to open the doors, and embrace the challenges of globalisation. We want to be like that sailor who, at the first sign of strong winds, opens sail and not shies away,” he said. Illustrating his vision for the country’s economy, Dr Muscat said that not so long ago hiking up social security contributions was touted as one of the only practical ways to deal with the pensions problems. Many had been told to forget a pension if you they were of a certain age, he reminisced. When he had first taken up office, women were not being utilised in the labour force. Speaking as a “CEO of the country”, Dr Muscat said it made no sense to have more than half of University students being women, but then not employed. “We were wasting more than half of the country’s resources,” he said. But, “thanks to one of the most revolutionary policies for a whole generation” – the government had liberated the working potential of thousands of women. The same was true, he said, of the introduction of in-work benefits, which had seen those dependant on the taxpayer, become active contributors themselves. Returning to his views on the influx of foreign workers to the island, Dr Muscat admitted that there were negative impacts of increased population through importing workers. The island also had inherent limitations. If there were 1,000 apartments available for rent, and more potential tenants, then the price of rent would naturally shoot up. “I agree with those who say open the doors to foreign workers. But I also agree with those who say rent has climbed too high, and something needs to be done to moderate the situation,” he said. However, this would not be solved by making foreign workers leave. “So then do we go back to that situation we had before? Then we can’t pay for pensions, and have to increase the burden on taxpayers? No. 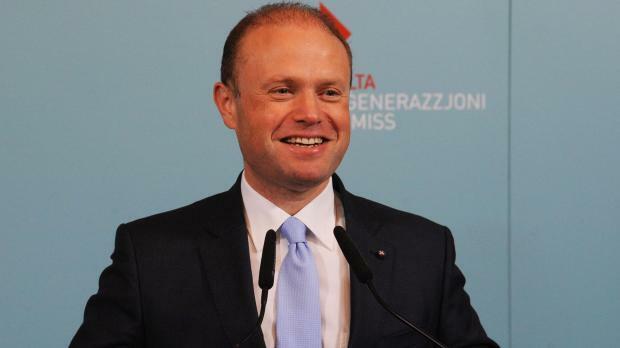 This is not going to be our approach,” Dr Muscat said. You could not cherry pick with economic policies. If you want to enjoy the meat you need to take the bone too, he said. This meant, another solution was needed. Around 80 per cent of Maltese, he said, were home owners. “We can’t jeopardise their investment. After 40 years of paying the bank back through a home loan, families can’t suddenly learn that the value of their property and their investment has actually dropped, because of some draconian laws passed by a government,” he said. There needed, however, to be planning policies that took into account a growing population and the pressure on tenants. The current administration was the only government to have not decided to redraw the development boundaries. “There are confines on Outside Development Zones. And we are building where others told us building could be done when the lines were drawn up in 2006,” he said. Dr Muscat took a slight dig at the Planning Authority, saying there were some decisions that he simply couldn’t understand. Some developments, he said, were quite frankly ugly. There were some roads lined with two storey buildings only to have a five floor block jutting out. “We need to talk about this as a country. There may be loopholes and so on that need addressing,” he said. Despite this, Dr Muscat said the government had showed its “social spirit” when it doubled rent subsidies. And when some asked where this administration’s social spirit had gone, Dr Muscat pointed just a few meters up the road, where a previously dilapidated townhouse would soon offer accommodation for Gozitan students and Gozitan relatives of patients at Mater Dei Hospital. Giving the elderly a cheque for €300-a-year over and above their pension, that was where the government’s social spirit lay, he added. Dr Muscat ended his speech with a plea for party supporters and activists to remain vigilant in the run-up to the 2019 local council and European Parliament elections. He warned of the scourge of complacency, and of the importance of keeping a finger on the pulse of society.